Welcome our new BFS Director! Please welcome our new BFS Director — Dr. Wallace (Marty) Meyer! 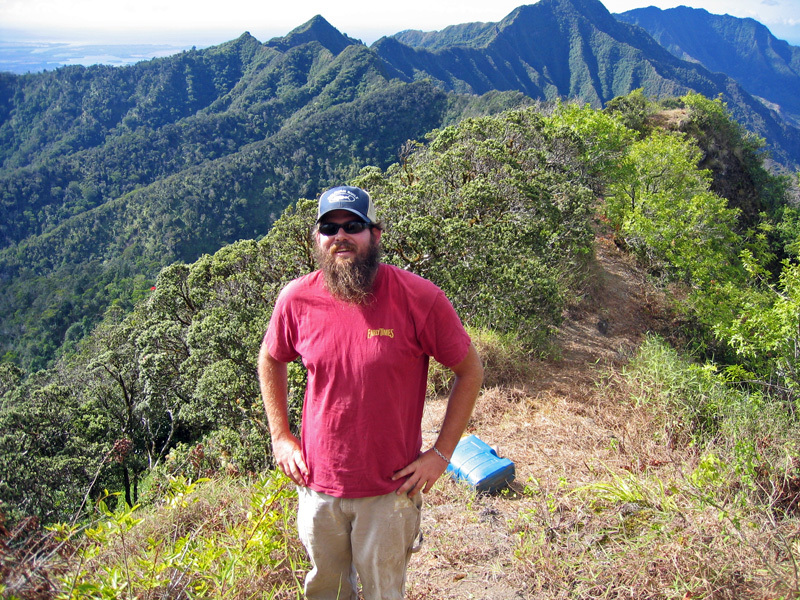 Marty at one of his research stations in Hawaii. 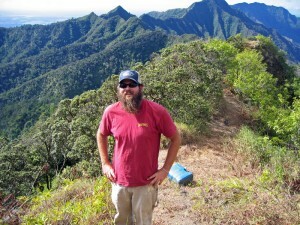 Marty completed his Bachelor’s degree in Marine Biology at UC Santa Cruz and went on to obtain a Master’s degree in Biology at Humboldt State University and a PhD in Zoology at the University of Hawaii, where he studied the impact of invasive introduced land snails on the native Hawaiian ecosystem. Before coming to Claremont, he most recently held a post-doctoral research position at the Center for Insect Science at the University of Arizona, where he was involved in a collaborative project to develop long-term monitoring of arthropod communities along an elevational transect and study their responses to climate change. 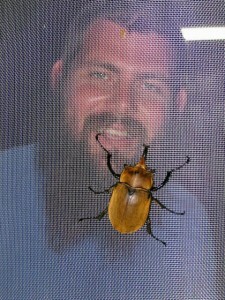 Marty and a rhinoceros beetle (Megasoma elephas), Belize. Marty has research interests in conservation biology, invasion biology, biogeography, and ecology, including aspects of population, community and ecosystem ecology. His main interest, however, is to understand how and why the species composition of local biotas are changing, and how such changes directly and indirectly affect ecosystem-level processes and properties. Although he intends to address a variety of ecological and evolutionary questions throughout his career, he anticipates that most of his future work as the BFS Director will be focused on the preservation and restoration of coastal sage scrub ecosystems. The BFS Director’s position is now a co-terminus appointment with the Pomona College Biology Department, and this coming spring Marty will be teaching Biology 41E – Introductory Ecological and Evolutionary Biology. You can find Marty in the Director’s office at the BFS. If you would like to drop by and visit the field station or say hello, just contact him by email (Wallace.Meyer@pomona.edu) or phone (398-1751). We are very excited that Marty is joining us; please help us welcome him to Claremont! Fall volunteer days have a BIG finale! Last day of cattail cutting! News from the Bernard Field Station © 2019 All Rights Reserved.